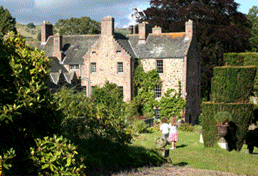 It was wall to wall Birlinn authors at Fingask Castle last week for a very sunny literary event! Gillian Galbraith, with her Alice Rice Mysteries lent a touch of gritty reality to the picture-perfect surroundings, whilst Lady Mary McGrigor swept everyone to the snowy wilds of Russia with The Tsar’s Doctor and Andrew Orr and Angus Whitson talked up a storm about Sea Dog Bamse. From left: Gillian Galbraith, Fingask hosts Andrew Threipland and his wife Helen Molchanoff, with author Gavin Dobson, Roddy Martine, Andrew Orr. Seated, Mary Miers (Literary Editor of Country Life) and, right, Mary McGrigor. Author of This Too Shall Pass – amongst other excellent books – Roddy Martine said "It's a huge pleasure for authors to come together and share literary interests in such stunning surroundings in Perthshire". 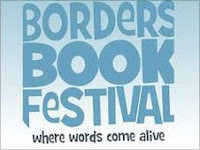 The theme of EIBF 2011 is revolution, and if you’re holding out for a hero we can help. In the 1930s rich young men tended to buy islands as weekend getaways. Not so John Lorne Campbell who bought Canna to try and preserve its Gaelic traditions before handing it to the National Trust for Scotland. Ray Perman’s biography – The Man Who Gave Away His Island, the only one on John Lorne Campbell – tells of his dreams and struggles. The rights and wrongs of land ownership is a subject close the heart of Andy Wightman whose superb The Poor Had No Lawyers explores how millions of acres of common land ended in the hands of a chosen few. ﻿Politicians are not always universally considered heroes, but as the first Green parliamentarian Robin Harper has certainly cleared a path for others to follow, as he describes in his Technicolor autobiography Dear Mr Harper. Tam Dalyell is a hero to some, to others ... well, probably best not to ask. Let’s just say the title of his much-anticipated autobiography The Importance of Being Awkward says it all. Everyone who fought for freedom in World War II was a hero, but Allan Burnett chooses just a few true tales of heroism in his latest book for children. And a hero for our time if there ever was one is Bob Servant, the hilarious alter ego of Neil Forsyth, who takes on email spammers at their own game. But sometimes it is the quiet things that make the biggest changes. Mairi Hedderwick’s charming Peedie Peebles will enchant and distract young readers with his exploits. And inside every one of us is a silent revolution, our DNA. Alistair Moffat and Jim Wilson use cutting edge technology to trace the history of the Scots in The Scots: A Genetic Journey. And it’s changing a few beliefs on where they came from! So make sure you get in quick on 26th June to buy your tickets, and we’ll see you in Charlotte Square – hopefully in the sunshine! There is a fantastic range of fiction on offer including Kevin MacNeil, whose A Method Actor’s Guide to Jekyll and Hyde takes it’s setting and a lot of its inspiration from Edinburgh itself. The Edinburgh of the nineteenth century is the backdrop for David Ashton’s fantastic Inspector McLevy Mysteries, star of a BBC Radio 4 series and now of three brilliant books. But if you fancy ranging further afield, Carlos Alba’s moving novel The Songs of Manolo Escobar chronicles the hardships of growing up Spanish in Glasgow. 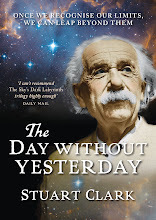 And you can jump in space and time with Sam Meekings to China over two thousands years in the magical The Book of Crows, or join Johannes Kepler and Galileo Galilei in Stuart Clark’s magnificent debut novel The Sky’s Dark Labyrinth. Poets are often thought of as having their heads in the clouds but Andrew Greig really has as the ‘laureate of climbing’ whose mountain poems are collected in Getting Higher. And you can’t get much more down to earth than Scotland’s own Makar Liz Lochhead, a Polygon perennial favourite. Talking of ‘great folk’ (see what we did there? ), Martin Strong author of The Great Folk Discography will be sharing his encyclopaedic knowledge of the musical genre. 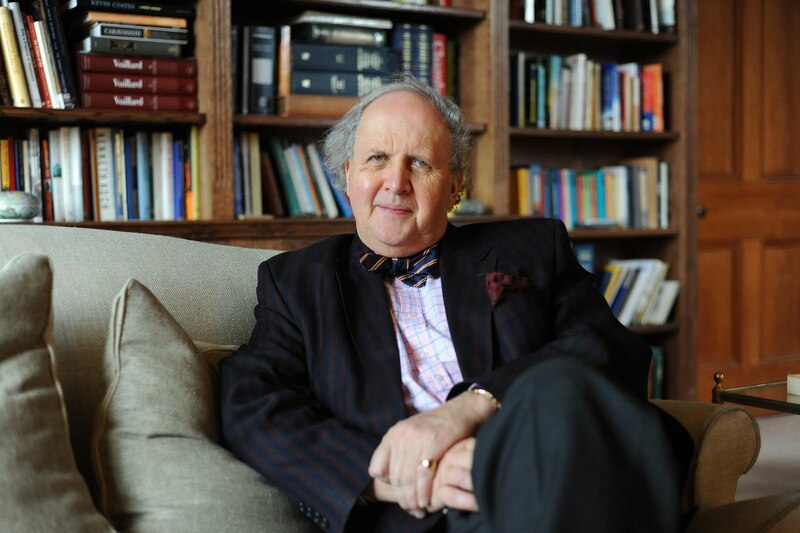 And it wouldn’t be an Edinburgh International Book Festival without Alexander McCall Smith. 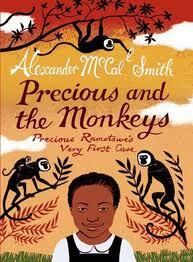 He’ll be opening the front door on the latest goings on at 44 Scotland Street with Bertie Sings the Blues as well as leaping back in time and across continents to reveal Precious Ramotswe’s very first detective case in Precious and the Monkeys – a treat for all ages. One of the world’s favourite writers, Alexander McCall Smith, has brought together the talents of artist Andrew Crummy, history writer and festival director Alistair Moffat and stitchers from around Scotland to create Scotland’s largest ever tapestry and to tell the story of all Scotland. The Great Tapestry of Scotland is to be launched at the Borders Book Festival in Harmony House Gardens on Saturday 18 June at 12.15pm. At this event, Alistair Moffat and Alexander McCall Smith will reveal the content of the 100+ panels, which together will depict our history. The choice of topics and events to cover has been made by the trustees under the guidance of Alistair Moffat but by its very nature the list is bound to prove controversial – what to include, what to leave out? The trustees are inviting debate on the list and are open to adapting it to include other suggestions. At the launch, artist Andrew Crummy will display some of the early sketches for the panels and announce the search for volunteer stitchers from every corner of the country. ‘The recording of events, both great and small, on cloth is nothing new. The most famous example, of course, is the Bayeux Tapestry, which is one of the world’s best-known works of art. More recently, the completion of the Prestonpans Tapestry in Scotland has reminded us of just how effective this method of narrating history can be. When I saw that tapestry for the first time, I was struck not only by its beauty but by the story behind its creation. That led me to raise with Andrew Crummy, the artist, the possibility of creating a tapestry that would illustrate the whole history of Scotland. To my delight, Andrew agreed to take on the task. Alistair Moffat, one of Scotland’s finest historical writers, was then approached to join the project and come up with a list of historical moments that the tapestry would cover. As we had all expected, Alistair’s list is both balanced and exciting – a series of snapshots of Scotland from its earliest days to the recent past. The project will take 2 years to complete and the finished tapestry will go on display from August 2013. A book detailing the project will be published by Birlinn Ltd.
Alan McCombes was, for over twenty years, one of Sheridan’s closest political associates. Now, based on a raft of documentary and eyewitness information, he has written Downfall: The Tommy Sheridan Story - the no holds barred inside story of the rise and fall of one of the most fascinating figures in recent Scottish politics. It is a story of deceit, corruption and self-destruction combining elements of tragedy, thriller and farce, and presents the stark, ugly truth behind Sheridan's victorious defamation action against the News of the World in 2006 and subsequent perjury trial in 2010. There is no shelter for those who have, in some way, been complicit in one of the most shameful legal and political scandals ever to break. Read an interview here with Alan in The Scotsman about why he wrote the book. Downfall: The Tommy Sheridan Story is available now, £9.99 pbk or as an eBook. Have you ever had an operation under general anaesthetic? You have Sir James Young Simpson to thank for the fact that you slept through it. Born on 7th June 1811, in Bathgate in West Lothian, he pioneered the use of anaesthesia in an age when undergoing surgery was the last resort. His work in pain relief for women in labour ensured him his place in history in itself. Simpson’s remarkable life is the subject of a new book, Simpson: The Turbulent Life of a Medical Pioneer by Dr Morrice McCrae (available in paperback and hardback). It reveals the history not only of Simpson, but also of a time of rapid change in society that allowed the seventh son of a village baker in a rural part of Scotland to go to university and then become a successful physician, a medical professor at one of the leading university medical schools in the world and Physician to the Queen, all before he had reached the age of forty. Happy Birthday Sir James, the world has a lot to thank you for! ﻿﻿Polygon is delighted to announce that Alastair Reid will receive two Honourary Doctorates this summer, from St Andrews University - his alma mater - and Glasgow University, Crichton. Originally from Whithorn in Galloway, Alastair is the author of more than forty books including collections of poems and essays, as well as writing for many years for The New Yorker - and as their South American Editor - and translating the works of Pablo Neruda and Juan Luis Borges. Described as ‘Scotland's greatest linguistic stylist and literary exile since Robert Louis Stevenson,’ (Sunday Herald) much of Alastair’s work was unavailable in the UK until the publication of Outside In: Selected Prose – introduced by Andrew O’Hagan – and Inside Out Selected: Poetry and Translations – introduced by Douglas Dunn, both published by Polygon. Alastair was awarded an Honourary Doctorate of Letters by the University of Strathclyde last year. 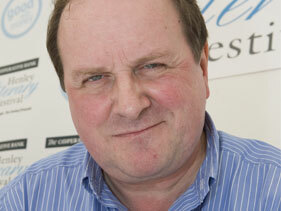 BBC's James Naughtie is English. Surely some mistake! Respected political correspondent James Naughtie had his ancestry unveiled on the BBC's Today programme this morning, which revealed to the award-winning presenter's horror and intrigue, that he may actually have descended from the English. Alistair Moffat, author of The Scots: A Genetic Journey, persuaded the BBC Radio 4 presenter to have his DNA tested a few weeks ago. And although James was brought up in Milltown of Rothiemay, near Huntly, Aberdeenshire has always been proud of his Scottish heritage. The well-known author and historian, Alistair Moffat has worked with geneticist Dr. Jim Wilson to map Scotland's DNA using thousands of samples from around the country. Every one of us carries our history in our DNA and technology has now advanced to such a stage that a simple spit-and-go test allows scientists to analyse and interpret our DNA and give us a very clear indication of where our ancestors may have come from. Naughtie's marker (known to scientists as S142) points very clearly to an Anglo Saxon origin in this country and before that to Denmark and Norway. 13% of Danish men share this strand of DNA. His ancestors would have arrived in the south of Britain in the early 5th century AD and moved north to Northumbria and to the Scottish borders arriving around 600 AD. And there they would have stayed until around 1130s. King David I of Scotland was involved at that time in what could be compared to Bosnian style ethnic cleansing of the Moray region to rid him of troublesome local aristocracy. He gave large Scottish estates to his Anglo-Norman friends and transplanted Border farmers to the Moray area to repopulate with those who were more sympathetic to his cause. And Naughtie's ancestors would be amongst those transplanted. So is he English? As Alistair Moffat points out in The Scots: A Genetic Journey, every Scot is an immigrant. Until 9000 BC, Scotland was empty of people and animals. For 15,000 years, ice had covered the land and nothing survived. Naughtie's family has been firmly rooted in the North East of Scotland since the 12th century - he is very much a Scot. But way back, his ancestors crossed the seas and made their way north through England to the borders and from there, to Moray. His DNA is part of the rich tapestry that now enriches Scotland. The new study of DNA for genealogy purposes is growing at an incredible pace and can take personal histories back much further than family trees and desk research. Alistair Moffat is now working on a new book with Jim Wilson, Britain: A DNA history, which will be published next year. The Scots: A Genetic Journey by Alistair Moffat and Jim Wilson is published by Birlinn and is available as a hardback book and eBook. Testing kits are available from EthnoAncestry (http://www.ethnoancestry.com/). Britain: A DNA History will be published by Birlinn in 2012.